The Turbo Lite 330 is ideal for frequently mowing smaller lawns and difficult areas. Flymo hover mowers are easy to carry, easy to store and have a powerful motor to tackle the toughest grass conditions. 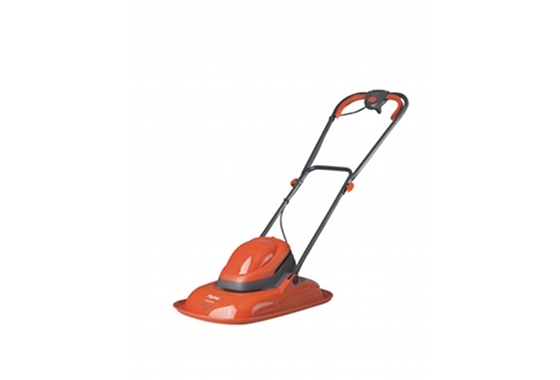 Lightweight: Flymo hover mowers are exceptionally light, making them easy to carry around the garden. Folding Handles: Easy transportation and storage are both advantages of the folding handles included on the machine. Mowing On a Cushion Of Air: Hover mowers use an impeller above the spinning blade to drive air downwards, thereby creating an air cushion that lifts the mower off the ground like a hovercraft, so that the operator can then easily move the mower as it floats over the grass.